Daimler has announced it has purchased a 3.93% stake in Beijing Electric Vehicle (BJEV), a subsidiary of China’s BAIC Group, to strengthen its partnership in the area of new energy vehicles (NEV). “Electric mobility is one of the pillars of Daimler’s future mobility strategy. We are fully dedicated to bringing this strategy forward globally and especially in China, the world’s largest NEV market already today. The investment in BJEV marks yet another milestone in the strong cooperation between Daimler and BAIC for new energy vehicles in China, and it underlines our commitment to the further development of electric mobility in this country.” said Hubertus Troska, Daimler’s board member responsible for China. “BAIC Group and Daimler have long maintained a deep, strategic partnership. New energy vehicles are one of BAIC Group’s core business areas, and Daimler’s investment in BJEV further expands our partnership, taking the cooperation between BAIC and Daimler into an entirely new stage of development,” added Xu Heyi, chairman of BAIC Group. The move comes several days after BAIC’s rival, Zhejiang Geely Holding (ZGH), became Daimler’s largest shareholder after Li Shufu acquired a 9.69% stake in the German company. 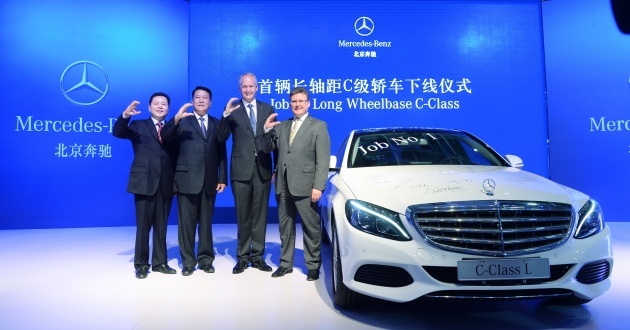 Geely hopes its position within the parent company of Mercedes-Benz will allow it to have access to electric and autonomous driving technology. Even so, Reuters reports that Dieter Zetsche, CEO of Daimler, said any industrial alliance between Daimler and Geely will depend on whether current partner BAIC agrees. “We would like to have consensus with our Chinese partner. 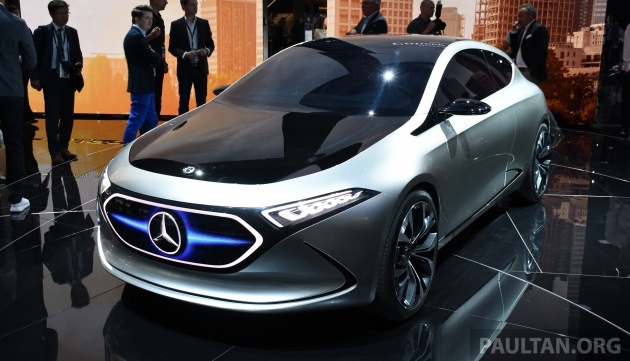 We will examine everything if it is in keeping with the wishes of our partner,” Zetsche said. Daimler’s involvement in China also includes a 50:50 joint venture with BYD Auto in the form of Shenzhen BYD Daimler New Technology, which develops and manufactures luxury electric cars sold under the Denza brand. Daimler Geely Volvo BAIC terbaik ! Geely can make it easy by buying out BYD portion of the share. Gerard how much is 3.93% of BAIC EV division? We like to know. If the President of China tell Geely, BAIC & BYD Auto to collaborate to make a better new energy vehicles (NEV) for China, U think any of these company dare to oppose !!? Essentially, Daimler giving Geely the finger. Next time Geely come asking, just cite this & state conflict of interest. I think the next step for Geely owner is to buy 20% stake in BAIC instead. So Daimler has to say yes for the technology sharing.